If you are contemplating between West Hills plumbing companies for your plumbing needs, look no further than AnK Plumbing. We are a family-owned and operated company that has been offering high quality services to the San Fernando Valley and West Hills for over 2 decades. Whether you are looking for residential or commercials West Hills plumbers, AnJ Plumbing is your answer. Whether you have a residential or commercial property, it is bound to be affected by plumbing problems at some point. Either your toilet may get clogged or may start to leak, or your sewer may need a clean out. You may need a pipe relining or a faucet or fixture repair or replacement. Sometimes you may even want to upgrade your current plumbing elements to new ones. No matter what your requirements might be, AnJ Plumbing has the solution. Our team of experienced plumbing technicians treat something as simple as a clogged toilet with as much focus and dedication as we would treat a major repair such as trenchless sewer replacement. No matter what kind of plumbing issue you are dealing with, you definitely need the expert services of a qualified professional such as AnJ Plumbing. An experienced professional such as AnJ Plumbing, who has spent years on the job, will be able to accurately identify your problem and amend in the most timely, cost-effective, and tremendous manner as possible. Avoid DIYing things like plumbing, especially when you aren’t sure what you are dealing with. Something serious like a gas leak could get out of hand very quickly and before you know it, you could have a very serious, and sometimes, life and property-threatening situation on your hands. Some things are just best left to the experts, especially plumbing. If a team of expert West Hills plumbers such as AnJ Plumbing does not work fast to accurately identify and amend your plumbing problem in time, it could lead to inevitable damage to your commercial or residential property, high energy bills, and other such serious issues. 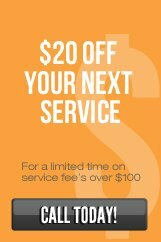 Apart from services and products that are of the most impressive quality, trust-worthy relationships, in-depth inspections, as well as precise diagnostics by our team of skilled plumbing technicians, AnJ Plumbing also prides itself on fair and competitive pricing to make sure that our clients never have to think twice about their plumbing repair or replacement needs.